Posted on February 6, 2018 by Ching under Food and Drink, Things to Do. Restaurant Week in Kansas City is HUGE! The event even has its own web site. This year it started on January 12 and continued through January 12 so you actually had two full weekends of dining out. 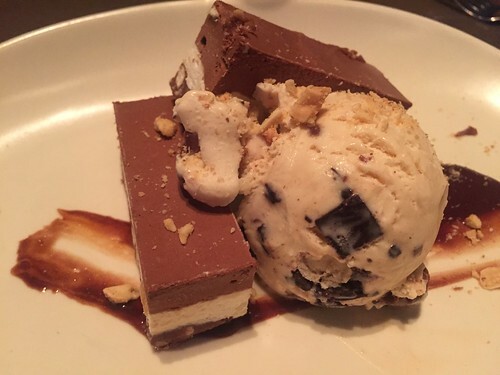 I had no idea until I was invited by coworkers to join them in their Restaurant Week dining adventures. 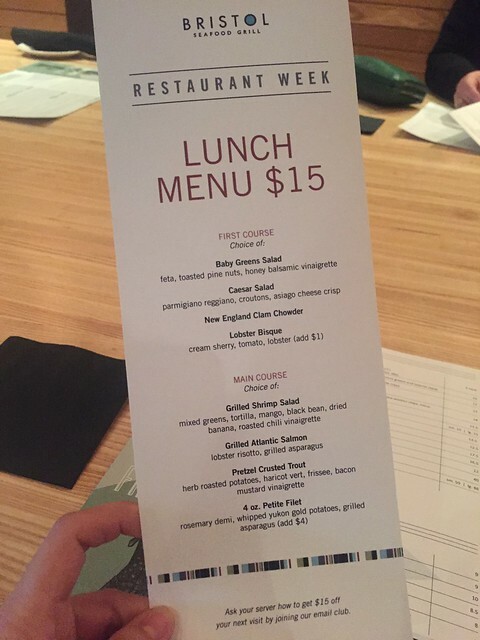 The best things about Restaurant Week are (a) you get to enjoy a great meal at a bargain ($15 for lunch or $33 for dinner) and (b) you get to support great causes because they usually donate proceeds to some nonprofit organizations. 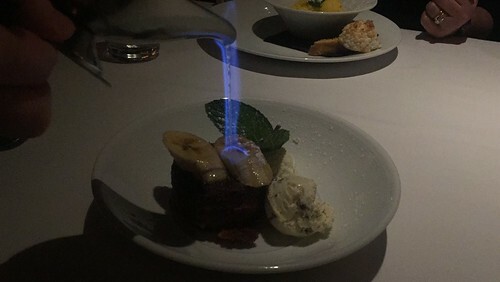 I got to try some restaurants I wouldn’t normally dine at that week. My first Restaurant Week stop was Bristol. I’ve only eaten there a couple of times before because it’s so expensive. I remember eating there with Selena last year and, despite sharing an entrée, our bill still reached $100. 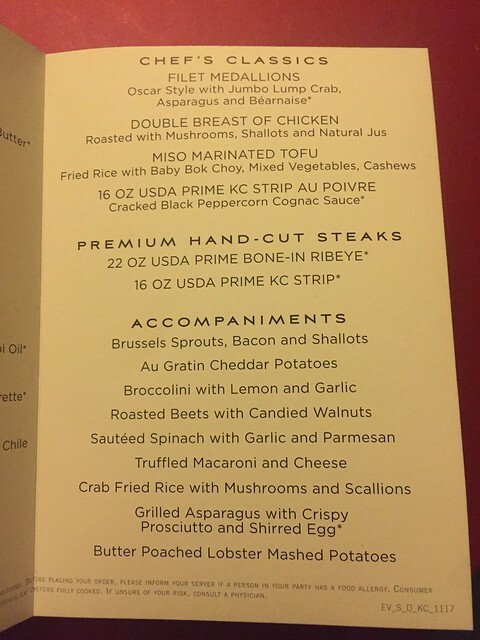 They offered a heck of a deal for Restaurant Week, though — $15 for a three-course lunch. 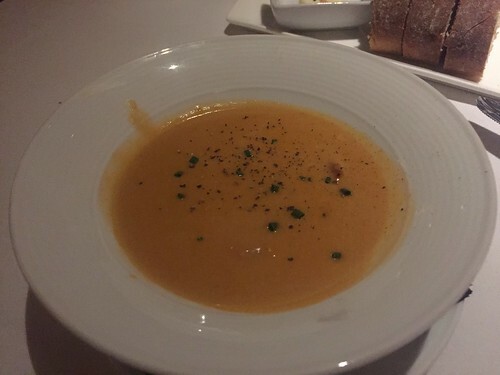 They actually had lobster bisque on the lunch menu, which is quite a deal, considering that lobster bisque usually costs at least $15 by itself at most restaurants. The presentation is super cool. I had to capture it on video. 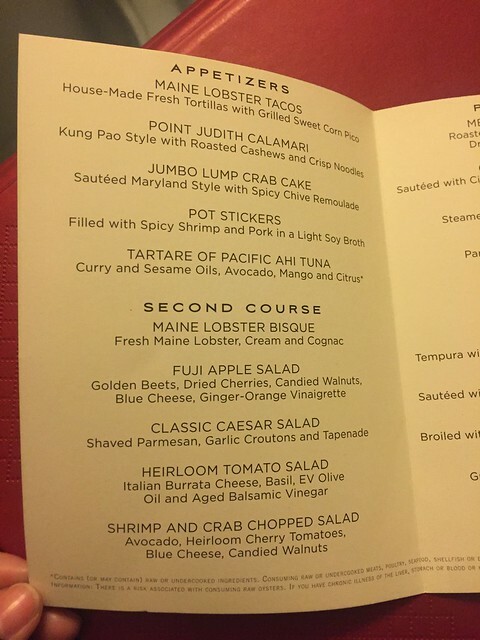 Several of us, myself included, ordered lobster bisque. 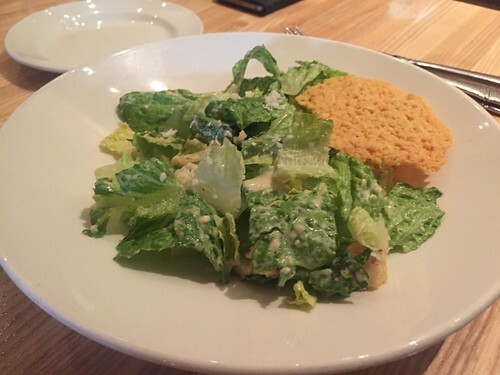 Someone got a Caesar salad, which looked pretty good too. 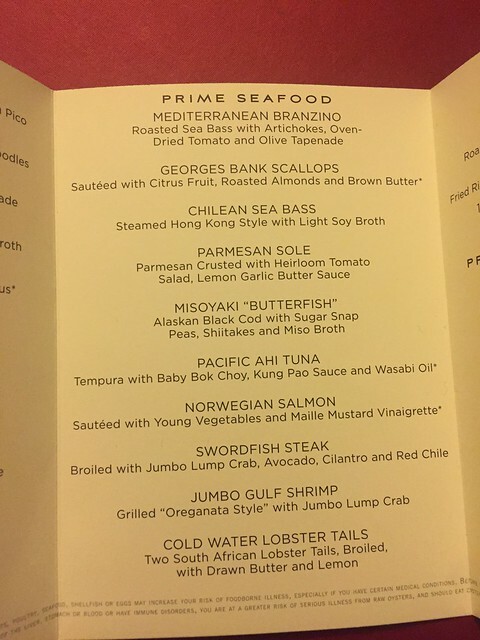 Here’s the various entrees we got. Guess which one was mine? 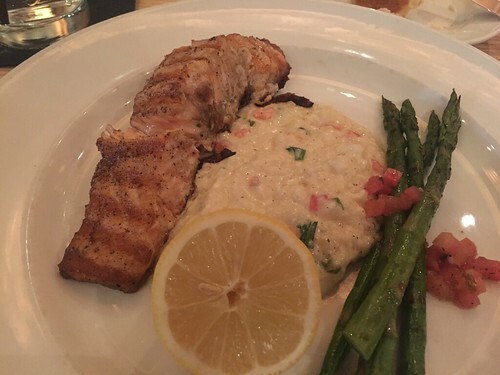 Yup, I had the salmon. Several of us got that one. 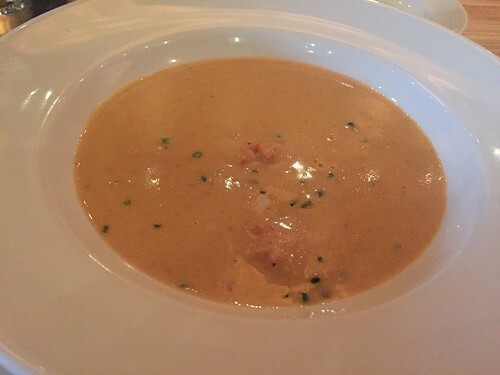 This is another lobster bisque picture but this one is from Eddie V’s Prime Seafood. I liked the flavor and presentation of the lobster bisque at Bristol better but at Eddie V’s they practically give you an entire lobster. They include big chunks of lobster instead of just tiny little pieces. 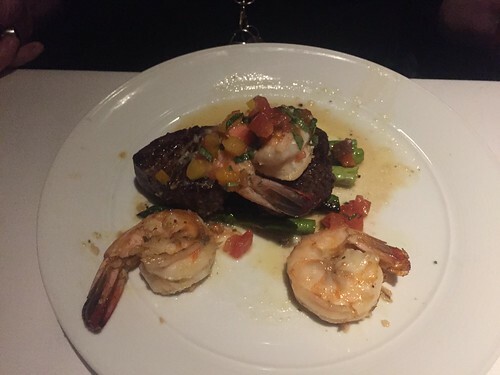 This is Lesa’s surf and turf dinner with three huge shrimp. They do family style sides. 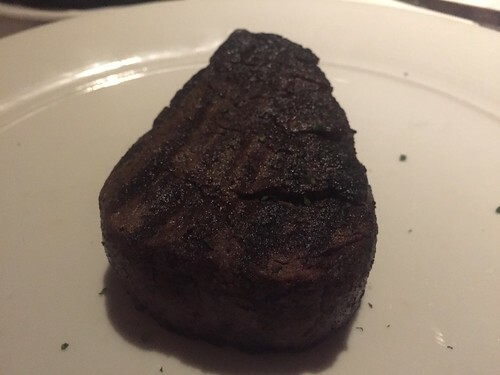 My steak didn’t look like much but it was delicious. 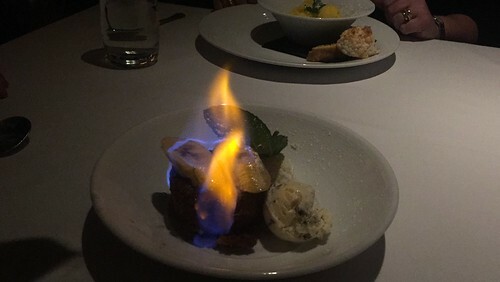 The bananas foster finale was nothing short of spectacular. 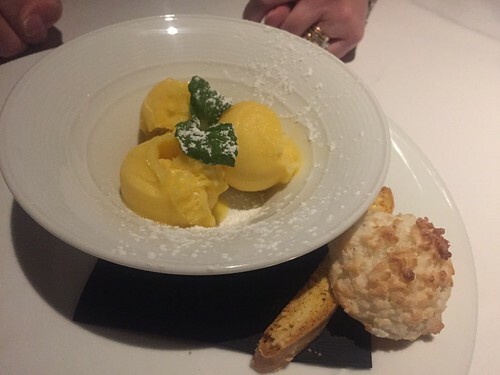 Lesa had a refreshing sorbet. 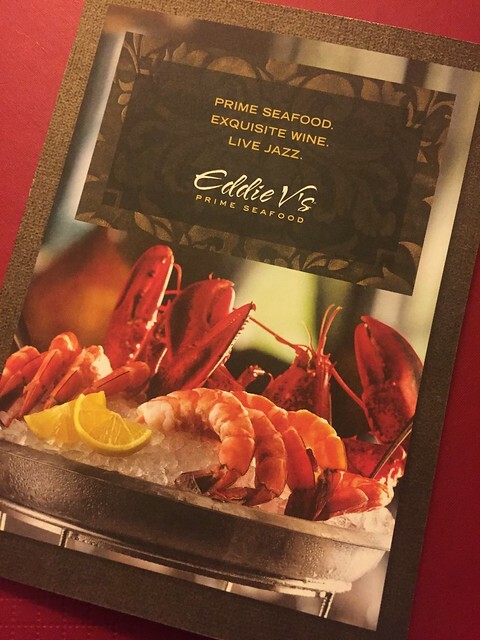 Here’s the Eddie V’s menu card. 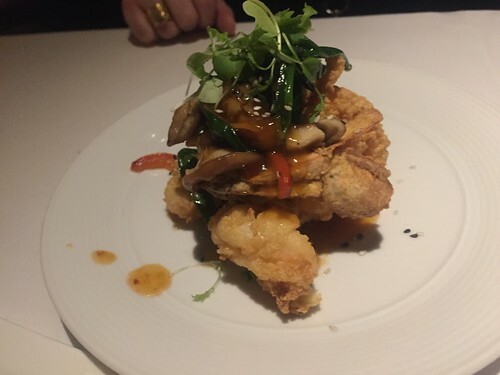 There are so many delicious dishes to choose from. 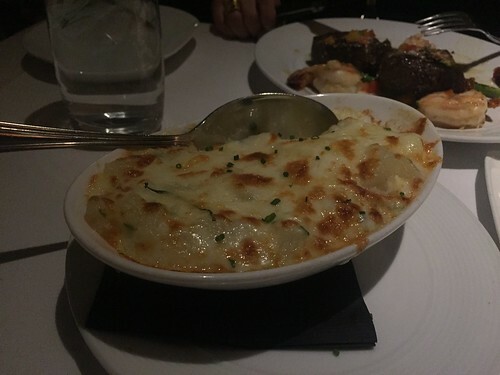 I can’t wait to return to the restaurant and try something new! 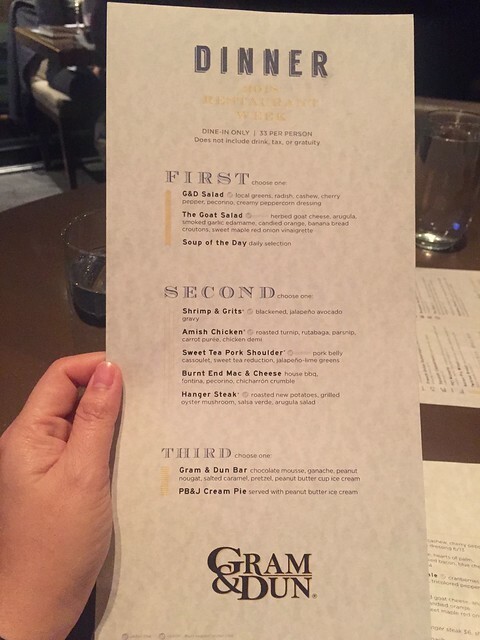 Gram & Dun was another one of our Restaurant Week stops. 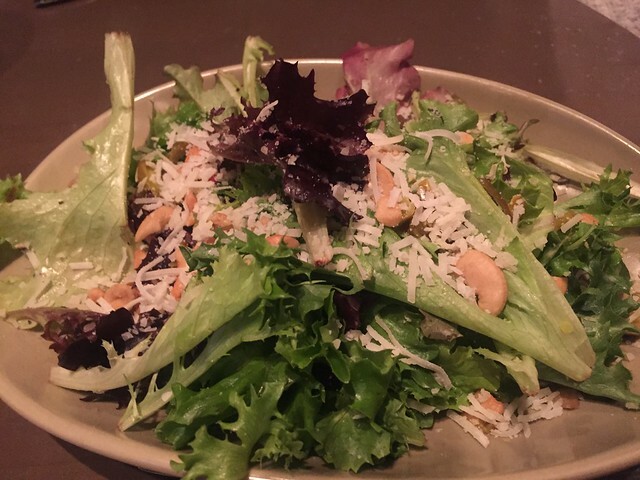 My salad (below) was delicious! 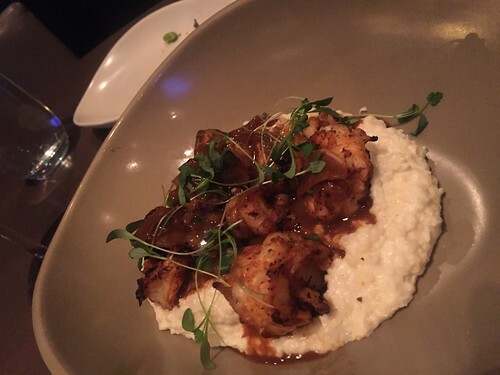 This is Denise’s shrimp and grits. 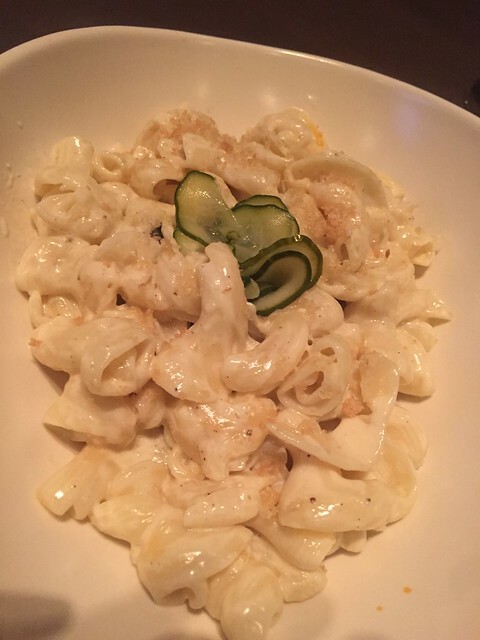 I had the barbecue mac and cheese, which Julie highly recommended. We finished things off with the Gram & Dun bar. 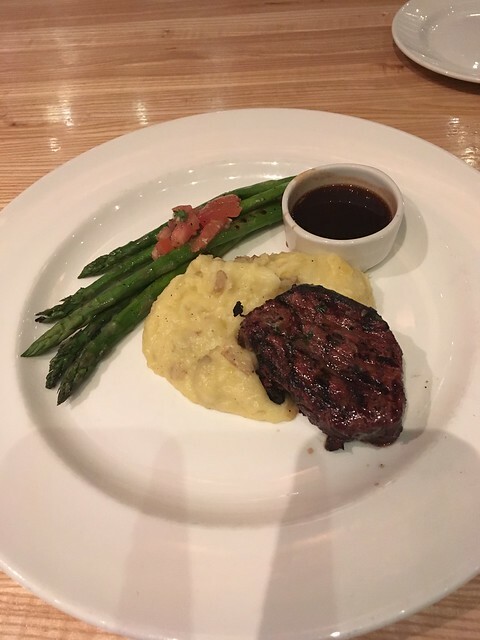 Our meal was pretty fab! Actually, all of our meals that week were very good. Denise joked that she probably gained more weight during Restaurant Week than she had the entire holiday season. She’s probably right. I skipped Monday night because it was too cold but she still went to Lydia’s. That’s one of the reasons I came to the conclusion that Restaurant Week in Kansas City is a big deal. Despite the cold temperature and yucky weather that week, all the restaurants were packed. 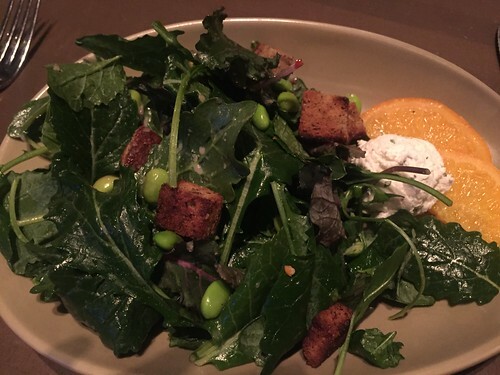 You could hardly get your reservation in on Open Table because all of the good restaurants were completely booked. We figured there would be plenty of no shows too due to weather. No such luck. People made reservations and actually stuck to them. That’s how HUGE Restaurant Week is here. I’ll have to remember it for next year.